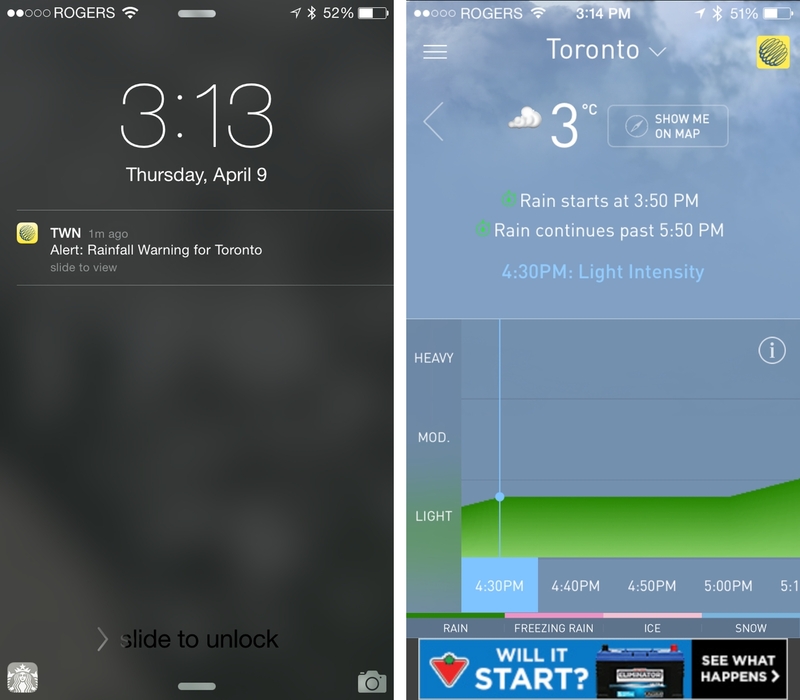 Pelmorex, the Canadian company behind The Weather Network, has issued the largest update to its iPhone app in nearly two years. The app features an overhauled interface which Ken Headrick, senior vice president of content, product & corporate marketing, says the team spent a long time getting right. “We try to be the most local and detailed weather service out there,” he says, explaining that the company has expanded its hyperlocal coverage to the United States. With a refreshed interface that looks great on iOS 8, the new app offers radar-based precipitation that distils upcoming inclement weather to the half-hour. The left-side bar has also been beefed up, with an editorial focus that offers breaking news, weather maps and charts. The app also has a new iOS 8-optimized weather widget, which offers the temperature and precipitation over the next two hours. A similar update hit Android in the past few weeks. 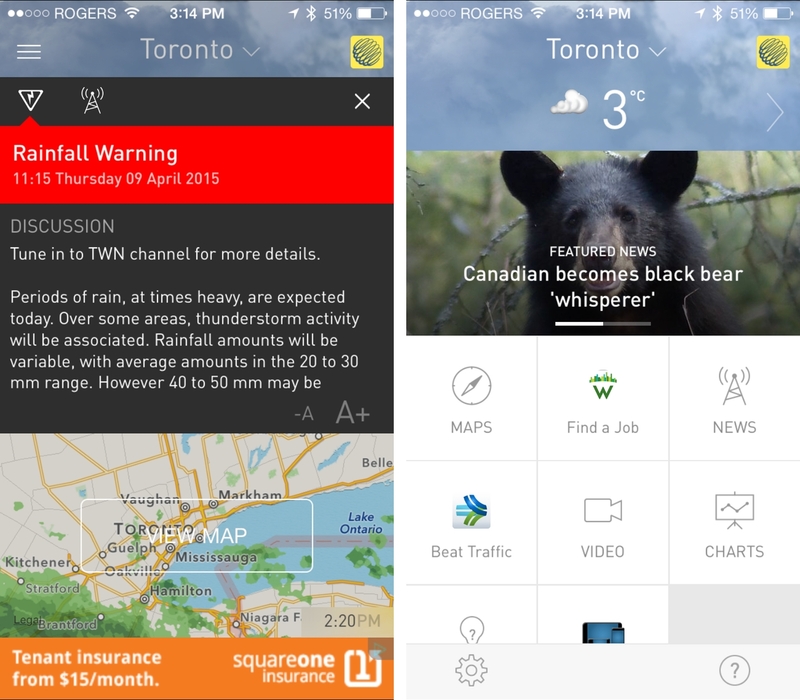 Both platforms now offer severe weather alerts and safety warnings, which you can see above.